This is a question every human must answer at some point in his or her life, but the answer does not come quickly - Finding Happy is your guide. 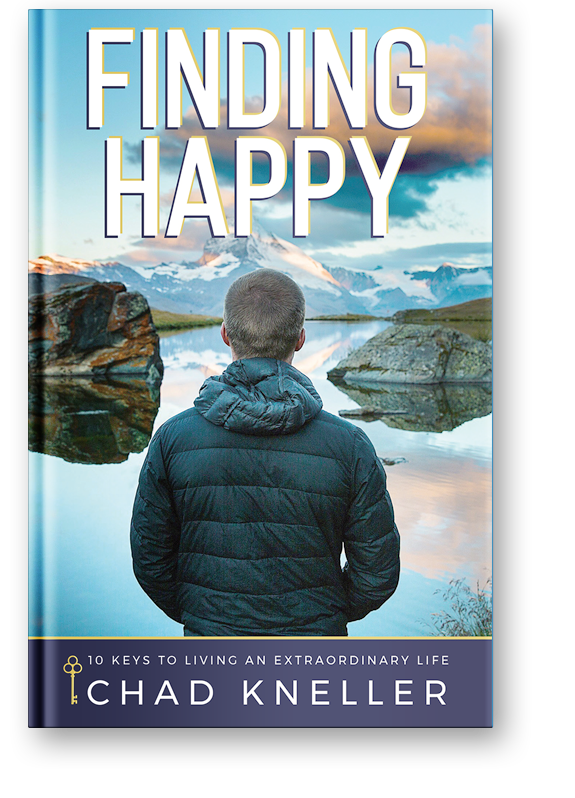 Sign up for the free Finding Happy newsletter and keep updated on the release of the book and other great resources. In the journey to discover what you were born to do, there is a lot of struggle. And the struggle is real. I spent a lot of years in the pain and struggle of Finding Happy. Like many people, I tried to fill myself with a lot of things that did not make me happy, or that were short-term solutions. A job, a drink, and even relationships. None of those things can make you happy, at least not for very long. Finding Happy is a worthwhile endeavor because life is short. I’ve had coaches and mentors along the way and I hope you do too. I wrote this book because I want to help you. Although it may not be easy, I can promise it will be worth it so keep on going. Happiness is around the corner even if you can’t see it. Finding Happy is similar to climbing a mountain. There will be peaks and valleys along the way.Think of me as your tour guide and someone who has discovered the hidden path. I have walked many roads that led to nowhere and many were a waste of time. Some of them to places I never wanted to visit and were difficult from which to return. Others looked easier but led to dead ends. I learned a lot along the way, and I hope the lessons I learned will be just as valuable for you as they have been for me. Let’s get started. "Chad is a game changer who helps men and women rise up to become who they were created to be. His book is a raw and unfiltered story of loss, struggle, victory, and redemption." "Thank you for sharing your book with me. I love the stories that are woven into the very fabric of the material. I think it’s going to help so many and it’s written very well. Hard to put down." Chad Kneller is the founder and CEO of Made For More Inc., a company dedicated to bridge the gap between reality and possibilities for aspiring entrepreneurs. Mr. Kneller served as an Army officer after pursuing a music career in the rock and roll industry. He represented the US Army in 2009 in Operation Rising Star and was a top six international finalist. 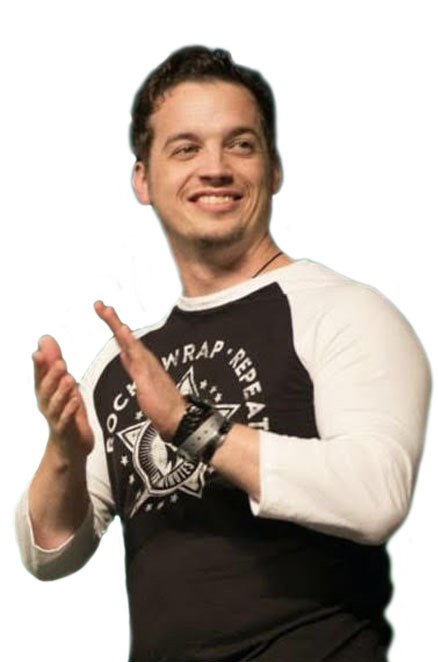 He’s had the opportunity to speak in front of tens of thousands of entrepreneurs over the last six years and is a highly sought-after sales trainer in the field of health and wellness. Chad and his wife, Jaree, have a strong passion to coach married couples to not only survive but thrive. Mr. Kneller has three children: Gavin is thirteen, Ava is ten, and Elijah is seven.They reside in Tennessee. "This is a must-read for all and is in my top favorite books lineup. Chad is a master communicator and an authentic voice who is anointed and appointed for this hour! It was my privilege and equally a pleasure to read his story. I recommend this book to anyone who is looking for more genuine happiness in their life. The advice is sound and the principles are timeless. An all-around amazing read!" "Finding Happy is a must-read! Chad provides such an inspirational story of hope that brings the reader from the reality of struggle and depression into the light of triumph and fulfillment. His story, his words, and his 10 keys are perfectly applicable during the ever-elusive pursuit of happiness. Chad lays the groundwork to help you find your own “happy”. Chad Kneller is the epitome of a learner, a leader, and a man after God’s own heart. He is the kind of guy that you want to follow, and Finding Happy is an excellent first step." "A page-turning, inspiring journey of a remarkable man who truly found happy and guides you on the path that can get you there as well. This is a book that will help all who read it! Chad Kneller is one of those rare people that one feels blessed to know. You will experience an array of emotions as Chad shares how he went from being on the verge of giving up to a life that is changing people around the world. One thing is certain; when you finish this well written, phenomenal book, you will find happy for yourself! Truly a must-read. (5 stars)"
"Success is different things to different people. I describe it as a steady progression toward a worthwhile goal! It’s the journey, not a destination! You have taken what there was to learn from the great philosophers like Jim Rohn and applied it to your life, and he like others took most of what they taught from the Bible. I loved what you wrote about relationships and how important they are. The business opportunities come and go, but the relationships are the true equity in life. Congratulations on your book, and thank you for sharing it with me."